Bringing a new pet home is as exciting as unwrapping a birthday present. You can hardly wait to start playing with it! As a new pet parent, you are in for one of the most exciting and rewarding experiences of your life. While it will take some work, you have a lot of great things to look forward to. When bringing home a young pet like a puppy or kitty, it’s important establish healthy habits right from the get go. As your pet’s parent, it’s your job to give her the best food, exercise and lifestyle that you can give. Thankfully, you’re not alone. Our own Dr. Katy has given us some helpful advice as to what you can do to establish a true Fresh Start for your new puppy or kitty. Choosing the right food First off, you must come to the realization that there is no “one size fits all” food. However, there is a diet out there that may be perfect for YOUR pet. There are many factors to consider when choosing the right food for your pet. Age, breed, reproductive status (spayed or neutered vs. intact), size, lifestyle and any disease conditions should always play into your decision making. 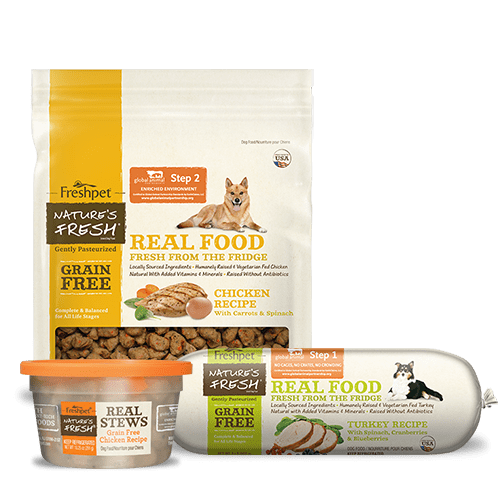 Always have the discussion with your veterinarian about what her nutritional recommendations are for your pet so you don’t walk into the often-intimidating pet food aisle uninformed. 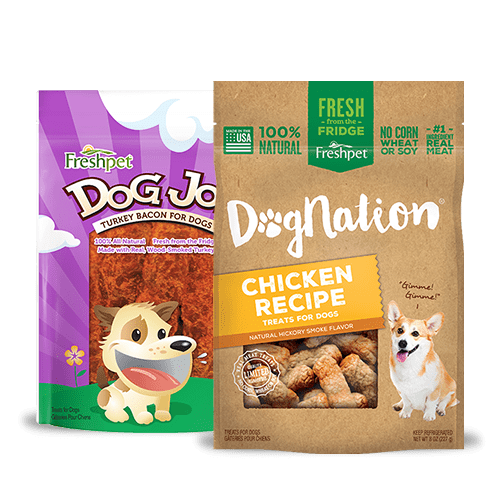 When considering the ingredients of the food your puppy will eat, look no further than the kinds of food you eat yourself: fresh, real ingredients. Not only do recipes made with fresh ingredients taste better, but eating fresh is healthier for your puppy or kitten as well. 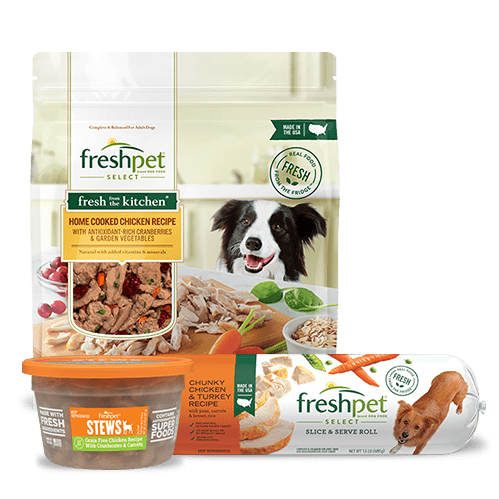 Feeding a new puppy fresh food, like Freshpet Select Chicken Recipe for puppies, will establish a great nutritional base for years to come. 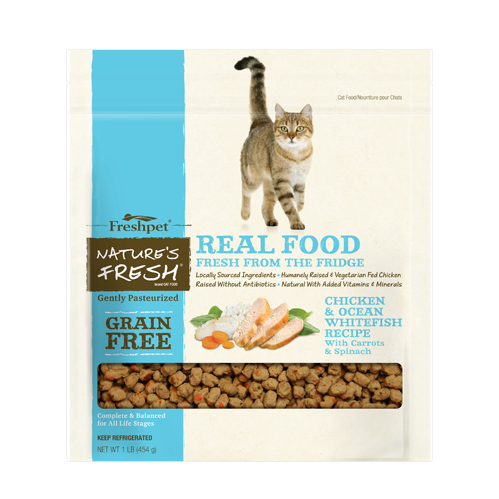 And for new kittens, I recommend Freshpet Select Roasted Meals for Cats Chicken Recipe, a delicious meal made with real chicken and ocean whitefish, accented with carrots and spinach. 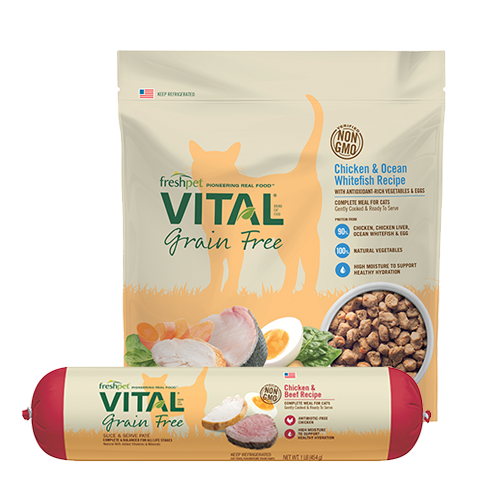 These recipes are made with high-protein and nutrient-rich ingredients with no preservatives, and will help your pets grow healthy, happy and strong. One of the best parts of feeding a fresh diet is that you’ll actually see many healthy improvements in your pet’s life, like increased energy, a shiny coat, and healthy weight. You can keep track of your young pet’s progress with your very own Fresh Start scorecard to see just how well she’s doing. 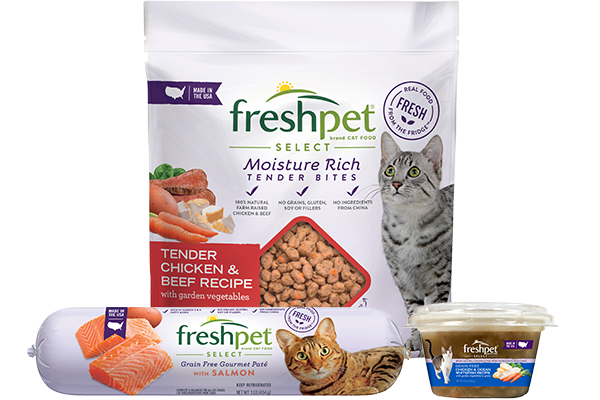 For a limited time, Freshpet is giving pet parents a special offer to help new puppies and kittens get the Fresh Start they deserve. 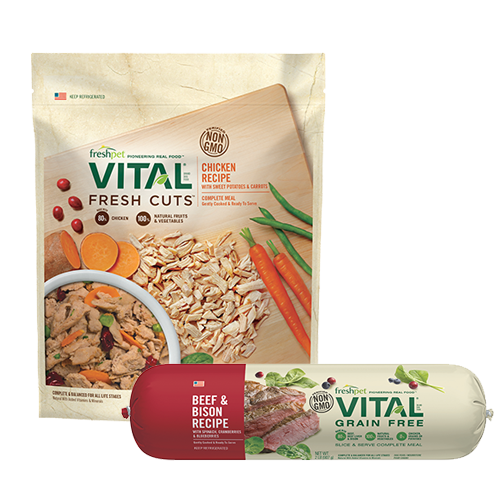 Grab yours today and see the difference fresh food can make in your pet. New Pets and Exercise If you’ve brought home an excited new dog or cat, chances are you’ll be spending a lot of time running around with and after her. And that’s a great thing! But there are a few things to remember when exercising with a new pet. 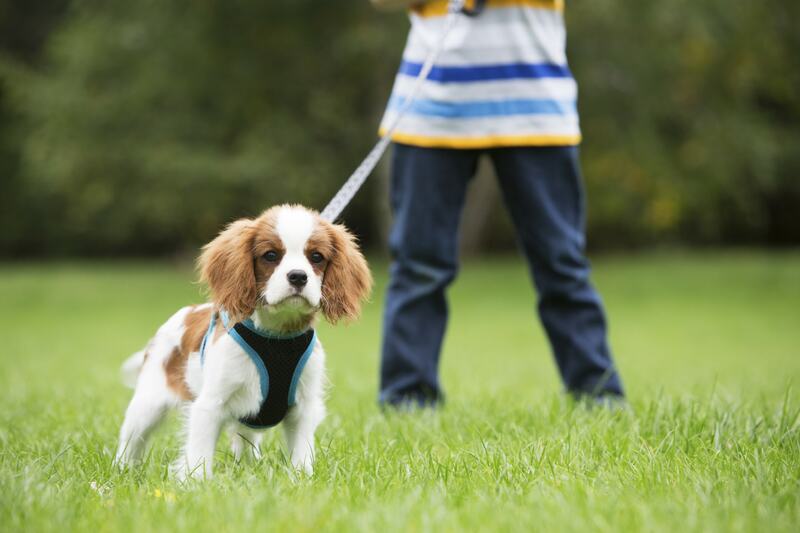 The first thing to remember is consistency: exercise like walks and playing ball is great for a dog’s training and health development, so make sure to stay consistent with her schedule, don’t make your pup into a weekend warrior! New technology like Whistle can help you monitor her activity, letting you know how much exercise she’s getting and providing helpful tips based on your pet’s breed and age. Use Whistle to help set a standard for your pup’s exercise regimen. Also, it’s important that you pay attention to your dog’s energy level. If you have an especially young pup, she may not have enough muscle to sustain long periods of exercise. So if she starts to overheat and get tired, give her some water and a rest. Finally, give your pet a mini-check up after an exercise session. She should be tired but not exhausted, and a little hungry! If her behavior seems a little off after a long walk or exercise, take her to the vet right away! For new pups, also be sure to check on their feet—running on cement can be tough on your dog’s still developing paws! A new pet is such a wonderful experience. Pet parents, its up to you to give your new pup or kitty the Fresh Start she needs and deserves. Enjoy the ride, it’s going to be a wonderful one!